The Volunteer State spirit is alive and well. Due to tireless efforts of Middle Tennessee fundraising patriots, history will be made Thursday, Sept. 13, at the Alvin C. York Medical Center with the groundbreaking of the Tennessee Fisher House. The medical center is owned and operated by the U.S. Department of Veterans Affairs under the Tennessee Valley Healthcare System. 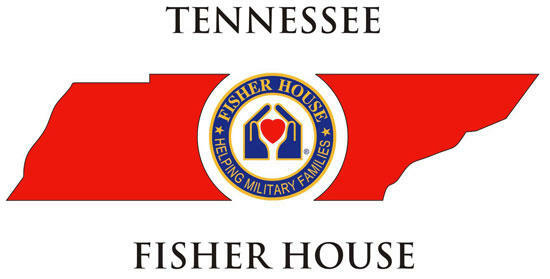 A symbolic small spade of dirt that will begin construction is set to be turned at 11 a.m. for a 12-unit Fisher House that will accommodate, at no charge, military families and soldiers while being treated for wounds and ailments at the York and Nashville VA medical centers. "The project to raise $2.25 million as Tennessee's part of the agreement, proves the point that the Volunteer State is alive and well," said retired Tennessee Air National Guard Lt. Col. Hooper Penuel, of Lascassas. Penuel said Rutherford County residents, including retired U.S. Navy Chief Harriett Howard and The Christy-Houston Foundation Executive Director Bob Mifflin, have been keys in the overall community commitment to this "monument of patriotism." Murfreesboro Mayor Tommy Bragg and Vietnam War veteran Andy Womack, who is a former Tennessee state senator, have also been supportive in more ways than donated dollars, he said. "It's appropriate this Fisher House will be constructed in the geographic heart of the Volunteer State, as people opened their hearts and pockets to donate millions for this project," Penuel added. "Latest figures show Tennesseans have donated (more than) $2 million with an ultimate goal of $2.25 million, so we need to push to finish our commitment to the national Fisher House cause." It shows the caring hearts not only in Rutherford County, but the result of fundraising efforts that began here and rippled throughout Middle Tennessee, up through the Upper Cumberland region, including Crossville and Warren and Cannon counties. Donations also poured in from West Tennessee and the Knoxville area. "One of our earliest contributions came from Dr. Leon Reuhland, of Woodbury, a true American patriot, while we were manning a Fisher House booth at historic Sewart Air Force Base in Smyrna," Penuel said. "Murfreesboro residents Claire Maxwell and Regina Nelson, plus Felicia Hix, of Smyrna, have also been tireless volunteers, along with Mary Lou Frenchy and Paul Crews, of Murfreesboro." "We've had donated funds from throughout the state," said Nashville resident Andrea "Andy" Lawrence, president of the Tennessee Fisher House, who has spent countless hours making public appeals throughout state. This happens, thanks to a tireless cast of volunteers, such as McMinnville's retired U.S. Army Col. Thomas Vaughn and Murfreesboro's Phil Barnett, for dedication to appear at events ranging from fashion shows, to civic club speaking, to motorcycle rides and car shows. 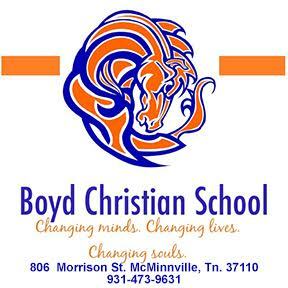 Middle Tennessee Gold Star mother Joyce Mount, who lost a son in Iraq, is one of those tireless volunteers who has made fundraising appearances throughout Tennessee. On Nov. 8, 2008, her life changed forever, when her son 1st Warrant Officer Judson Mount died while on his second tour in Iraq. The family stayed extensively in a Fisher House for five months as the 14-year military professional underwent 13 surgeries after an enemy bomb shred his body. "I want everyone to remember Jud, for his bravery shown in not one, but two tours of duty in Iraq," Joyce Mount said. "As Jud was fighting for his life, our extended stay is when my family realized the importance of Fisher Houses for military families." As a Fisher House volunteer, she's campaigned for funds with recent stops in Murfreesboro, Woodbury, Smyrna, Clarksville, Crossville and Nashville. "I know how much a Fisher House can mean to soldiers and loved ones," Mount said. "We benefited directly at a Fisher House for several months, as my son battled his wounds."